The month of September is recognized as Healthy Aging Month, a time dedicated to focusing on the benefits of growing older. With the rising trend of aging in place, or living independently in your home as long as possible, the aging population has been renovating homes to accommodate for common risks by installing ramps instead of staircases, extra lights, barrier-free showers, etc. AV Solutions is proud to assist homeowners in remaining at home as long as possible through a number of home automation features and upgrades that make tedious tasks easier and increase security and surveillance. With the touch of a button from a wall-mounted keypad or an app on a smartphone, homeowners can easily adjust any of the above features, checking that the alarm system is turned on, the doors are locked, the lights are turned off, etc., even when you’re out of town. And on the subject of aging in place, that means that you can also set up the smartphone app for your parents’ home automation features on your devices, helping them around their house as they grow older. 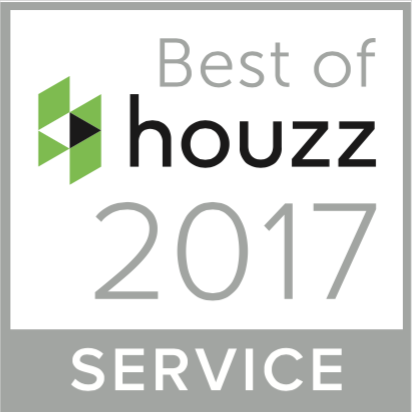 According to a 2016 Houzz Smart Home Study, 45 percent of renovating homeowners installed smart systems or devices, and nearly one-third of the devices are controlled from a control hub or app. 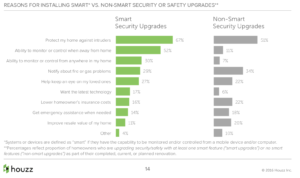 The same study revealed that among security and safety home automation updates, 67 percent of smart security upgrades occurred in order to protect homeowners’ homes against intruders, 52 percent occurred so homeowners could monitor and control the systems while away and 30 percent occurred to control the systems from anywhere inside the home. Whether by using our services to prepare for aging in place, or recommending our services to others who could benefit from these updates, there is a way for everyone to celebrate Healthy Aging Month in September. Schedule an appointment with the experts at AV Solutions to learn more.